Christmas is here! 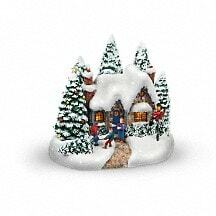 A family savors the snowy season outside their warmly lit winter cottage in this charming holiday scene. 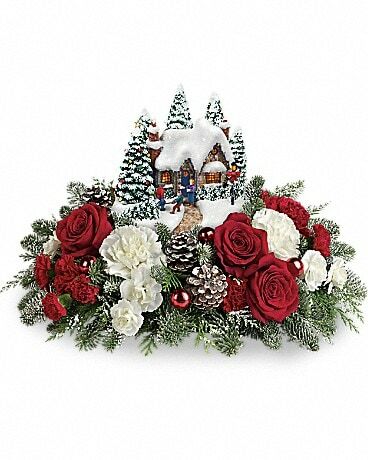 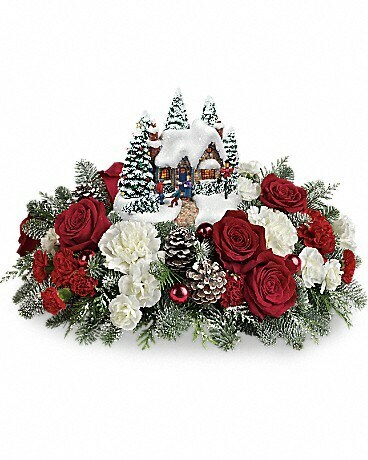 Set atop a magnificent bouquet of festive red roses, snowy white carnations and fresh Christmas greens, this hand-sculpted, hand-painted Thomas Kinkade keepsake will delight for years to come.